"We think there's a lot more to this than what's being said," Harris Sr. said, according to the St. Louis Post-Dispatch, adding that his son had graduated from Normandy High School. Harris Sr. also added that his son had just come out of surgery early on Monday. Belmar added that 40 and 50 shots were fired in an exchange between the two groups, and the incident he described as "remarkable" lasted around 45 seconds. "They were criminals. They weren't protesters," Belmar said of those involved in the shootings. 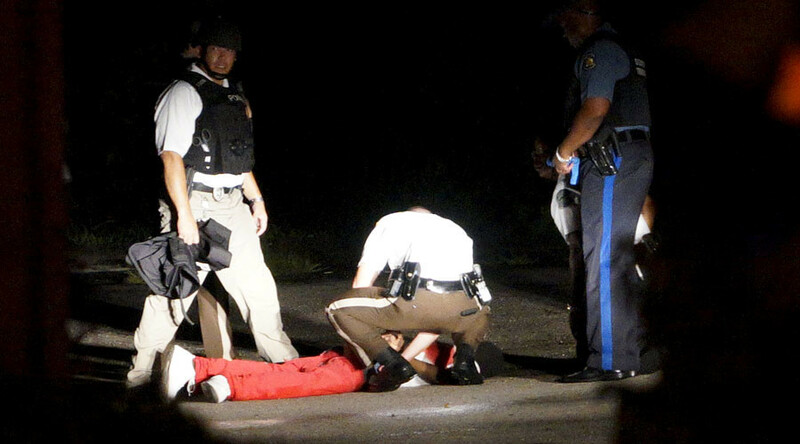 He did not say if there were any casualties from the shooting on West Florissant Avenue.